Although children seem innocent since they don’t have a developed ego and are generally very cute, they already have a stock of good and bad karma (piety or sins if you will) to enjoy or suffer. So if a baby or child dies untimely, or we experience something as undeserved, we don’t understand the whole picture. 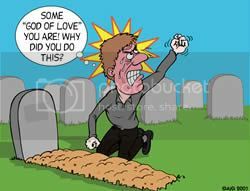 Pain or suffering is not a capricious act of a cruel, uncaring or detached God. Often critics of karma consider it uncompassionate and fatalistic, but such an attitude only reveals a lack of understanding of what karma is based on—our actions from the past. As the Western saying goes, “We are the architect of our own fortune and misfortune”. Of course while this saying is promoting a deterministic idea of our current life, it can also be used as a statement to reveal how we have created (albeit in a previous life) the life circumstances we are born into. The “nature or nurture” controversy as to whether it is more inherited traits or how we are raised or that determines how we fare in life can now be answered. Life aspects such as our gender, race, body type, family of origin, personality, attractiveness, nationality, education and every material facility we either have or lack are AWARDED to us from our previous lives. This should be humbling to consider. As we develop an understanding of karmic justice, it doesn’t mean we should be callous to the suffering of our family or others. Far from it. Rather, the Gita teaches us [6.32], that the advanced spiritual person or yogi feels the pain of others as their own. They understand that although everyone needs to obtain the basic needs of life to survive, the most important thing is to understand that the soul is in a foreign land by inhabiting a material body. 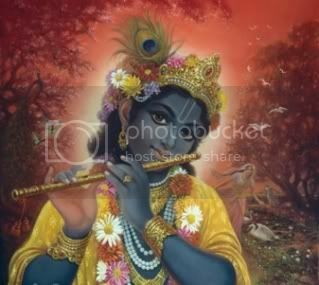 We are in forgetful ignorance of our loving relationship with Krishna and therefore suffer. Therefore developed spiritual compassion for the soul includes empathy for the even "ordinary" problems and suffering of embodied beings in all varieties. So while we may pray to Krishna according to our need and conviction, perfection of life is not ultimately about asking God for boons (which is our default setting), but is about learning what to give to Him. Our real self interest is to give to the center. Giving some of our time and money (for example, tithing) to Krishna is only a beginning on the path of sacrifice (which is a component of love), because He ultimately wants us to give our heart to him. The externals of our giving may very simple (according to our capacity): “…a leaf, a flower, fruit or water,” yet Krishna prefaces that, “If one offers Me with love and devotion…” So our devotion and heartfelt feeling of love are the real thing Krishna wants—then he says “I will accept it.” The soul’s love for him is dormant or covered by our material body and mind. In spite of our lack of conscious of this love we can still practice loving him though vidhi-bhakti or the rules and regulations given in the scriptures with the intention of developing natural and spontaneous feelings of love or raga marga. Krishna owns everything, yet hankers for our love. When we give our love and heart we give him everything we are and have. If the soul is focused on taking from God or life, it contracts, but to the extent that we are givers the soul expands. Again we don’t begin at the stage of pure devotion, yet we should still do our best to understand Krishna’s attractiveness, with his merciful and supreme nature. There are many great personalities in the universe entrusted with a part of Universal management, yet in the great scripture Shrimad Bhagavatam we are encouraged to worship the Supreme Personality of Godhead, even with mixed motives, rather then worship lesser forces or divinities: “A person who has broader intelligence, whether he be full of all material desire, without any material desire, or desiring liberation, must by all means worship the supreme whole, the Personality of Godhead.” [SB 2.3.10] As we do this we realize that our true wealth and lasting happiness lies in serving and loving Krishna, and by doing so all our purposes will be served. We can only begin where we are, so whatever reason we approach Krishna is a good place to start. However, let us understand the goal, and not put or leave God in the peripheral of our life to be called upon (or complained about) only in our sorrow. Let us first understand where Krishna’s rightful place is at the center of our life, attention and heart, and then endeavor and pray to enthrone him there. Our real self interest is serving the center, or to water the root of existence or the universal stomach. If we only water the leaves of the tree or don’t put food in the stomach we won’t be truly nourished. Our spiritual practices like chanting Hare Krishna, reading scripture and serving Vaishnava devotees are meant to purify us so we can realize these truths. At present this is our medicine, and as we spiritually advance, it will be our food. Keep favorable association with faithful, positive devotees fixed on serving and loving Krishna will greatly help us. Do what you have to do in the world, but keep on cultivating your spiritual life. Becoming or remaining a devotee of Krishna doesn't mean you will face no reverses, problems or calamities, but it does mean you will have a spiritual source of strength and guidance to deal with them. Gradually you will see that you are making progre. In proportion to your attachment and affection to Krishna and his devotees, your attraction for the world (and resultant suffering) will wane and you will experience peace, fulfillment and unending happiness. 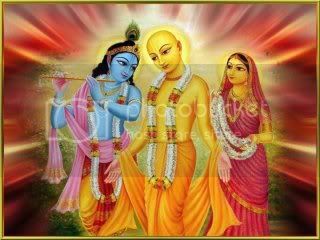 Please also note that Lord Krishna Chaitanya Mahaprabhu, who is the incarnation for this age, is the most merciful and munificent incarnation since he is Krishna with the kind, compassionate mood of Radharani. Remember that practice make perfect, and that Krishna and his pure devotees will help you! Be kind to your self and to others, and be patient and steadfast in your devotional life. Then your success is guaranteed.